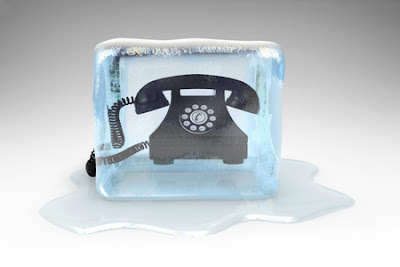 Northwest Group...A Xerox Company: Is Cold Calling Dead? Why is it so hard to decide whether or not Cold Calling is dead? If you are a Sales Professional and you’ve spent any time on Linkedin, you’ve probably seen a post or article claiming that Cold Calling is dead. Click one of those links and prepare for comments and discussions more polarizing than the Presidential Election! On one side are tech-savvy, new school sales people claiming that clients don’t want to be interrupted and will resent you for calling their phone and the other are industry pros who have built their living by picking up the phone and winning the “numbers game” of sales. If you isolate the loudest and most defiant members of each group, you are probably looking at people that are either too afraid to interrupt their clients or outdated sales people who rely on relationship selling and are afraid to change. I don’t think that selling has really changed that much over the last 30 years. I think that the way people make purchasing decisions, manage vendors and leverage technology and information has certainly changed. These are not mutually exclusive ideas. As a Sales Professional your job is to interrupt your client’s day to present them with meaningful value in a way that builds trust and credibility while also disrupting their status quo. It doesn’t matter how you do it, if you are successful with this then you will enter into meaningful sales engagements. Some organizations choose to pick up the phone. Some stop by in person. Some deploy complex marketing and lead generating strategies that fully vet each prospect before allowing sales to call them. The last one may sound different than the others, but it’s not. Marketing is still sending someone an email. You are still directing someone to your website, when they weren’t necessarily seeking you out. You are still presenting information on Linkedin that someone decides to read during their day. If you pick up the phone and call someone with a simple pitch or obviously generic talk track that doesn’t provide value to the person you are calling or show that you have done your research, then whoever answers will most likely not be happy to talk to you. But this has been the case for a long time. If you look back at many of the most successful sales strategies of their time, Spin, Sandler, Solution Selling, none of them encourage sales people to make high volume, simplistic phone calls with the intention of closing a transaction or setting an appointment. Typically, you are leveraging your knowledge about a specific client to create a paradigm shifting situation that clears the way for a sales engagement. You don’t know when a particular prospect will be in their buying cycle. You could invest in technology that evaluates prospect’s purchasing history, web traffic and infrastructure to create targeted marketing that drive inbound leads to you so you know exactly when they are in the market. You could also pick up the phone and ask. You know that your service is a perfect fit for a prospect based off of the success you recently had with a similar company. You could create original content around the case study and plaster it all over Linkedin consistently for a long period of time. Connect with your prospect and drive their interest. You could try to find a referral from your network to connect you to this prospect and get you in the door. You could reach out over the phone email to a number of mid level people within the prospective and build interest around your solution and get sponsored up to the decision maker. You could launch a prospecting campaign towards the decsion maker that includes the phone, stop by’s in person, linkedin connections and emails. At the end of the day it is my belief that none of the examples I shared would be considered Cold Calling. If you consistently leverage your CRM and build off your past prospecting efforts and information you have gathered, you will be able to improve your messaging and approach over time. At some point you will have relevant enough content to secure an appointment. And what’s one way to reach your prospect to do this? Pick up the phone.